The Language of Flowers by Vanessa Diffenbaugh published by Ballantine books New York 2011. 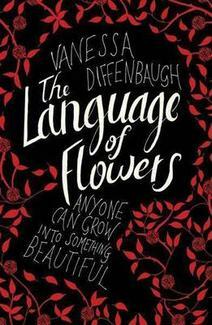 Recommended by Ann Deibert, pastor at Central Presbyterian Church in Louisville, KY.
A first novel by Vanessa Diffenbaugh, The Language of Flowers tells the story of Victoria Jones, who is finding her way in the world after growing up in foster care. It’s a world with little support and few safety nets. Burning bridges, even with those who think they are trying to help, is often the easier impulse for Victoria. With many false starts, a few friendships begin to sustain her, at the same time challenging her to confront the defenses she has, understandably, developed to survive. While this novel is not an excursus on poverty, poverty and a life bumping around in foster care certainly shapes and limits the choices and resources available to Victoria.